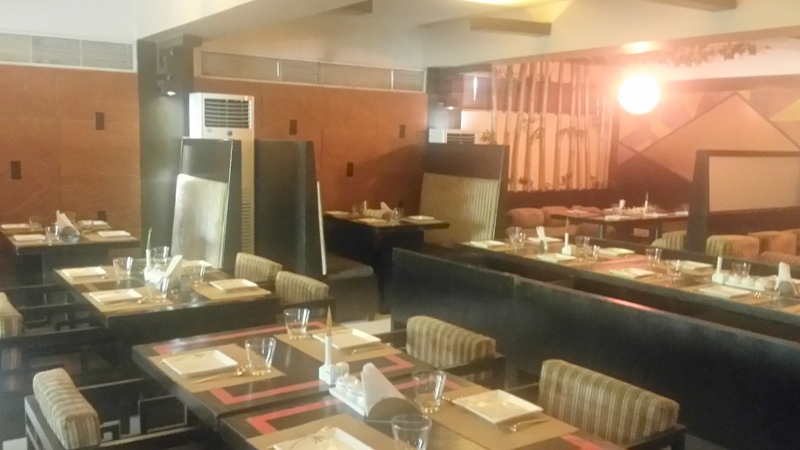 I recently heard of this value for money Chinese lunch at the Mahjong, the Chinese restaurant at hotel Ramee in Khar. The hotel once infamous for ‘Madness’ its discotheque and famous for the ‘Irish pub’ looked worn-out and tired from the exteriors. I quickly went up to Mahjong on the first floor,the restaurant furnishings, upholstery and the lighting was very 90’s like! I glanced through the menu and concluded that it was an exotic Chinese Indian “Chindian” restaurant. Exotic indicating better quality ingredients in the Indian context, Bell pepper, assorted mushroom, zucchini etc. 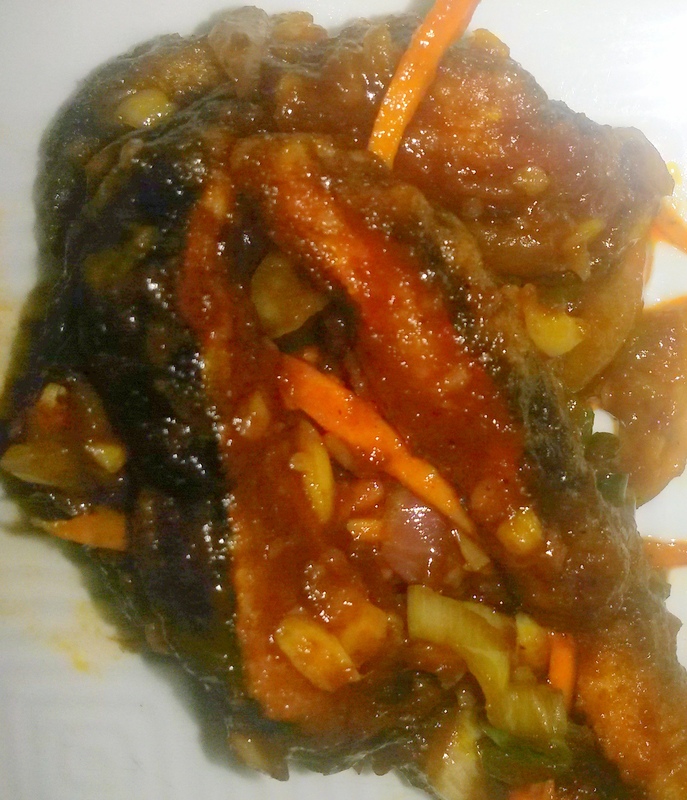 I am not complaining I was ready for it and must admit I love Chindian food, at least a zillion times more than the Chinese food at Chinatown in Soho London. I went in for their 4 course fixed menu @399 + taxes for veg and 499++ for non vegetarian option. A soup, two starters, rice, noodles and a gravy and Darsaan (Honey tossed flat noodles) with ice-cream for dessert was on offer and the best part was that one got a choice from the a la carte menu. The soup was piquant, was expecting lemon but lemon grass was the prominent flavouring. 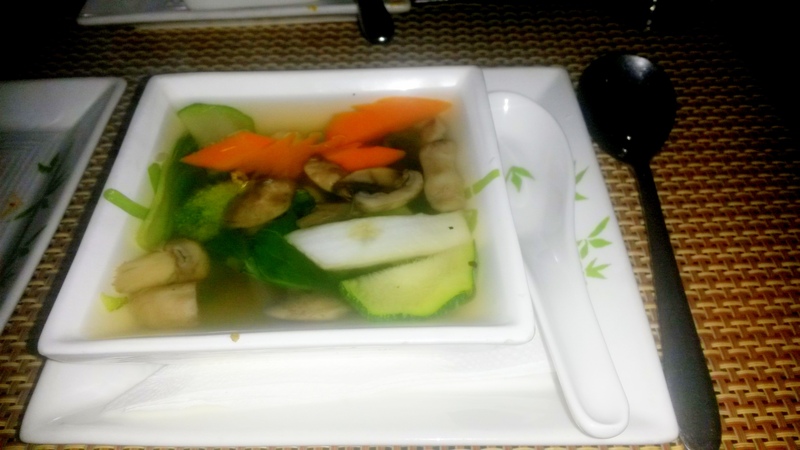 Nevertheless it was soothing and had a bite to it with all the ‘exotic’ veggies in there. The Crispy Shitake was wonderful and the twist was some amount of butter used in tossing. 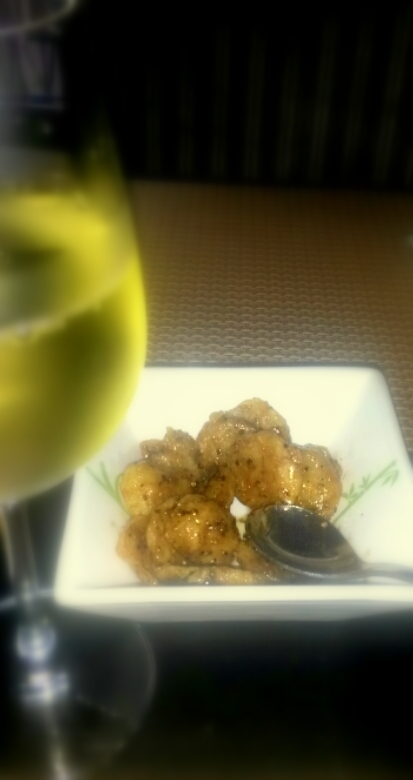 The crispy chestnuts were sweet and spicy and perfectly matched my glass of Sula Chenin Blanc. As I sipped on my wine, I was continuously trying to get suggestion on a better wine for the chestnuts on the Indian wine academy page ; Gruner Vetliners, Albarino, Riesling were some of the options that came up. 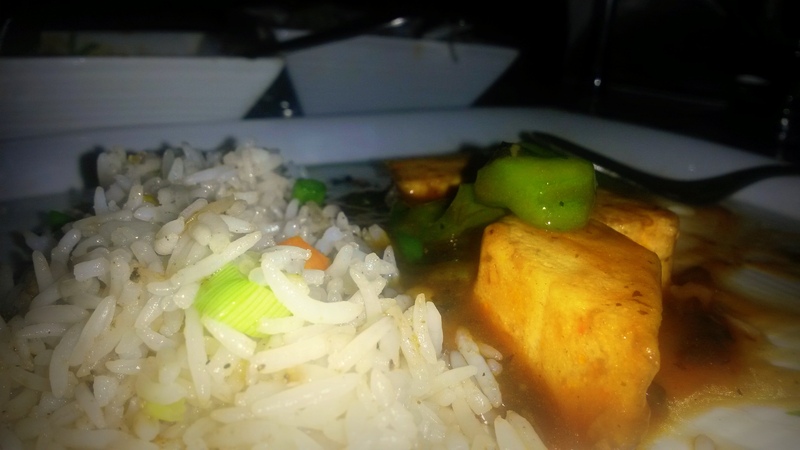 The mains arrived and the tofu in Black bean was stirred up nicely. Darsaan to end with was comforting like always. With the set meal at less than 1000 for two, and with an option to have a choice of 2 soups, 4 starters, 2 mains, it is definitely a bargain!! !